Super-Growth height booster spray is actually one of the height enhancers I personally gave it a shot. For a fact, the reason why I jumped to a different form of enhancer because none of the height “growth” pills gave me any height results of inches whatsoever. I’m sure you probably had a similar experience of that too! So I found Super Growth spray and actually tried it! Yes, I do have it with me right here and I will take pictures of me holding it for you to see that I am the proof that if the product works or not. I applied Super-Growth spray at night before bedtime for more than 2 1/2 months until I noticed some changes in my body here! Right now, you’re on your way to find out my before and after results/experience in this review. I really like to be honest because there are too many false un-honest information out there. 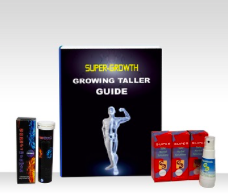 Super-Growth is a height enhancer booster who claims that all of us (as users) will grow taller and gain inches in our height. 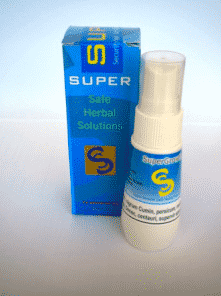 As I mentioned above, it’s a spray formula promoting to be 100% safe and effective with only containing herbal extracts in the bottle’s formulation. For a fact and since I’m writing down this review for you to see the exposing truth, I searched it up to see more info about the product’s label and I actually found a few different bottles out there claiming to be the original Super-Growth height enhancer spray.. So BEWARE OF COUNTERFEIT! In fact, the original Super-Growth been on the height enhancement market for over a decade. According to the Super-Growth company, I should naturally grow taller in inches, all in a safe way. The company mentions that it can be used for adults and children from about the age of 9 and up. 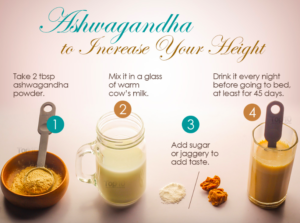 Now one of the reasons why I personally gave this specific formula a shot because I was tired of taking pills to powders and got no results in height growth whatsoever. Then I found testimonials about this product from pictures and now I found videos from real people, where folks gained growth in height within a short period of time! Perhaps, not just in height results, but a few other benefits as well that all of us as users supposedly should experience. For the Super Growth height enhancer formula’s compounds, I’m going to show you since I have the bottle with me right here. Now since it’s a natural herbal height supplement, the ingredients labeled here on the bottle are such as; Yashad Bhasma, Kukkutandatvak Bhasma, Godhuma Kumari (Triticum sativum), Haritaki (Terminalia chebula), Aloe Barba-densis, Shankha (Conch shell ash) and Super-Growth Herbal Essences. To me, none of these compounds are actually known or familiar from my personal experience because of most “height products” out there ONLY have minerals, amino acids to vitamins, etc. Yet, Super-Growth is a unique formula who contains all-natural herbal extracts, where to me it does make it 100% natural, safe and effective. 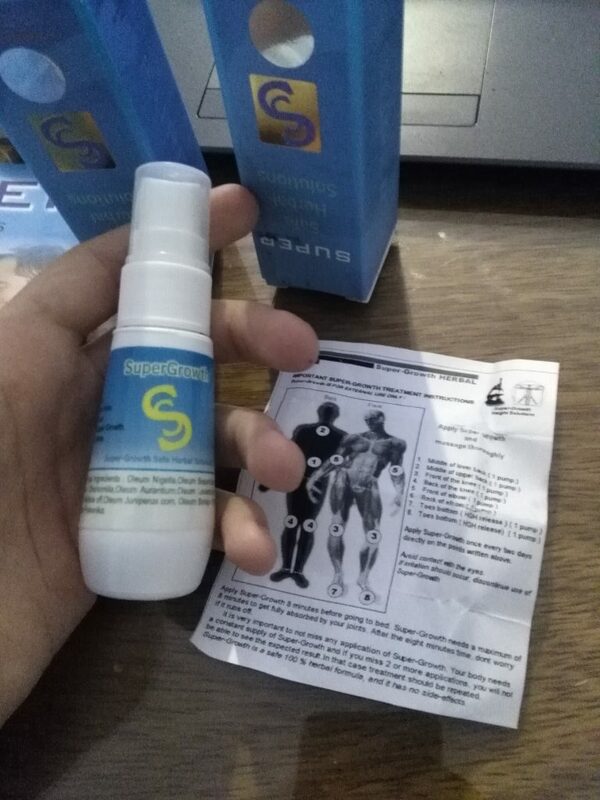 Each Super Growth solution contains 30 ml in a bottle for 2 months of usage and all I did was apply a 1-2 sprays to my toes, front and back of knees, front and back of elbows, top and lower part of my spine, pulse points, etc and rub it for a few minutes to absorb all of the 100% active ingredients before bedtime as directed. Which is said to stimulate the pituitary gland and maximize the release of our natural HGH levels during sleep stages. And that leads to increasing the growth of our spine and other body tissues by regenerating the cartilages, discs and overall bones. According to them, they mention that it has a “very high success rate“, which Super-Growth have grown over 600% over the past 3 years. “WOW!”. Doctor’s endorsement? Even though I can’t find anything from a doctor endorsement, the company does promise that it’s 100% safe for all of us as users. 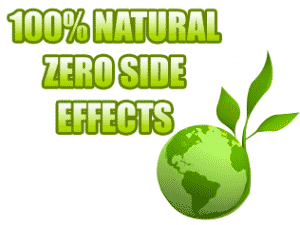 In fact, they do say that it falls under the FDA standards since it’s a “100% herbal” supplement which also means, it should be really safe for all of us to use it. The manufacturer who states to create and design this effective and safe growth enhancer would be by the (Super-Growth Inc/SG Inc Labs). I tried to look up resources about this manufacturer and I couldn’t find much. The company directs us to spray at the top and lower back of the spine which I’m assuming to lengthen my spine, the legs front and back of the knees to help unlock the growth plates and allow new growth to occur, elbows, toes and other places as well. 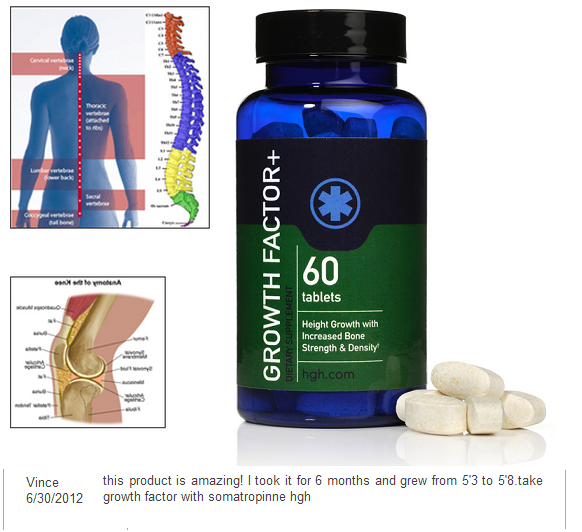 According to the product’s company, by applying it to these points on our body, the active ingredients will go through the skin directly into the bloodstream to maximize the natural release of the HGH production and also stimulate the growth of cartilage cells at the end of the bones and joints for maximum growth of results. 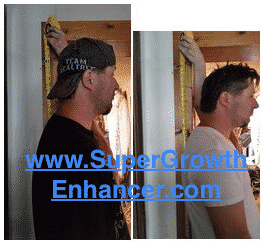 See how the Super-Growth natural height enhancer work!? They claim that it will potentially increase our HGH (Human Growth Hormone) levels back up in a completely natural and safe way. And also, enhances and regenerates the bones and cartilage, discs for new growth cells. If you don’t know, HGH refers as Human Growth Hormone, it’s the most important hormone for the overall growth factor on all parts of our body. When we were younger, our body produced massive amounts of HGH naturally to grow our body to where it is today. Therefore, Super-Growth official website explains that this hormone is responsible for the growth of the cartilages, our spine growth and for overall bones. So by stimulating HGH production to lengthen my spine and bones, plus helping unlock our growth plates, they promote that myself as a customer user should get a growth spurt by gaining inches in my height here. As they do mention, Super Growth formula has thousands of consumers using the spray product and thousands of previous users who gained inches in height as well. They say that some experienced results within the first month such as improved posture, energy, confidence, and get the body prepared for the new growth. But it can take a few months for maximum results depending on each person’s body how it reacts to the natural, safe and effective process. According to the product’s markers, we as customer users should expect extra inches and gain flexibility for a better-improved posture. So how many inches did I get? I’ll tell you in a few! This natural growth item mentions to improve my mood function and increase our energy levels throughout the day as well. Also, they claim that it can help with improving the body to a healthier state, by helping burn excessive fat from boosting the metabolism rate and helps with building more muscle tone. Wow! Now I can imagine if I were 2-3 inches taller, no words to express my happiness here… Read on! Super-Growth mentions improving our liver function, plus the digestive system without any negative or harmful side effects. Basically, all of the promoting websites I found claims to not only make us grow taller but also improve several health benefits as well without no negative side effects. Keep reading and I’ll show you my results! It has a slightly strong odor. Not really the best smell at all. It also felt like some type of oil on my skin. Yet, what matters to me is the results, right!? 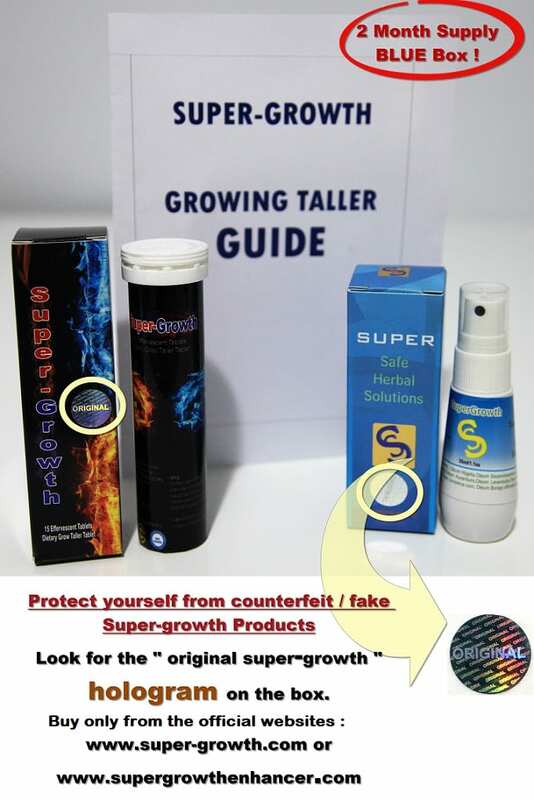 Oh, since Super-Growth has been on the market for over a decade making us grow taller, we have to beware of counterfeit products claiming to be the “original” height growth formula. 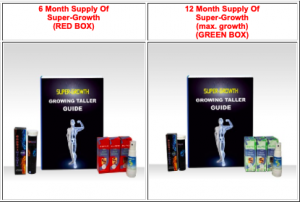 The company states that the ONLY official websites for the legit and original real Super-Growth height enhancer with the HOLOGRAM original authorized sticker as you see on the image to the side, are from (www.SuperGrowthEnhancer.com) the same official website I got mines, or the Super-Growth.com. Yes, the Super-Growth company states to ship INTERNATIONAL and worldwide delivery to anywhere around the world. They shipped it to me all the way here in the USA! And for any discreet shipping? When It got delivered to my door, it did show the company’s name (SG Inc), but other than that, no noticeable markings or no product’s identification information about its label shown in the package’s text. So no worries, I understand maybe you don’t want family members/friends to know your secret to growing taller too. For a money back guarantee? Unfortunately, their company states to only refund the user’s money back within 30 days. If I were to send it back any unopened products, meaning brand new and have not used the spray formula, they say to refund everything excluding the shipping and handling fee. They do provide an address, phone dialing number, fax number and email address to contact them for any reason. Now at their authorized official website, they use PayPal as their form of payment method, which we don’t need a PayPal account to make a payment. It’s just a platform to use our credit/debit cards. And from what I know, it’s a trustful platform that millions of people uses it for over two decades to pay for something online. However, if you don’t have any debit card or credit card, you can just contact them through email and let them know that you’ll want to pay via the Western Union. To me, they seem to really be behind the products and that way, it makes them more reliable than other companies out there. Just to let you know, I happen to see the Super Growth on eBay, and a few other websites out there, rest assured that it’s probably not the real original product. For the legit results and for your safety in using the original Super Growth real height enhancer with the HOLOGRAM authorized sticker are only at their official, authorized manufacturer’s website that I ordered from at (www.SuperGrowthEnhancer.com). So coming to an end, it’s about time to show you my results! After trying several types of “get-taller-pills“, at first I really didn’t think that this formula would actually work because of the pills and powders that I’ve used for many months to years never gave me results in my height here. For a fact, it’s been proven that pills we get ONLY 10-20% of the ingredients and the rest gets lost in our digestive system. But since I was desperate to grow taller and leave the average size crowd, I gave this Super-Growth spray a shot! Yet, I am very happy that I did because not only I experienced more energy levels throughout the days, but it helped me build muscle much faster. I always woke up refreshed and after tearing my muscles apart at the gym, I felt fully recovered. I love exercising! Now you wanna know my height growth results !? Ok, so a few days over 2 months of using it as directed before bedtime, not only I experienced several benefits of improvements, but I finally went to measure myself after the whole time of using it and noticed I got a growth spurt by a little over a full 1″ inch (about 2.62 cm). I am 24 years old and so far, I went from 5ft 7″ inches to over 5ft. 8″ inches and a few cms taller. Yet, I’m still in the average crowd, but I am way more confident by just this one full inch of the growth spurt… I bet you would you be too! So imagine how much I’ll grow if I use it for the full 6 months or even a full year..!? All I did was spray it on the middle section of my back (I’m assuming to length my spine), on my knees (front and back which I guess to unlock my growth plates), elbows, toes, etc and massage it for the active ingredients to go directly into our bloodstream and absorb to the bones for growth. By doing that, our body will naturally release maximum amounts of HGH causing the overall bones, skeleton, and spine to grow bigger which leads to a new growth spurt of inches in our height. Of course, I do a few stretching exercises on the daily basis, plus I eat healthy foods since I workout. So I’m sure that helped boost up the growth process. For a fact at first, I was feeling a little skeptical. So just to mention, using this herbal oil spray is just like any other oil sprays out there that we use on our body. I mean, with my growth plates closed, I feel like I can basically call Super-Growth the “growth plate accelerator formula“, right!? Well, I have found that it is proven to absorb 98% of active ingredients. So basically, this spray makes it much more effective than pills by at least 6x more. No wonder why I only got height growth results of inches from only using this spray, and not the pills and powders out there. Now let’s check out some real before and after results from Super-Growth previous users. (p.s. I need to be taller than my younger brother and my dad. But hey, I’m still happy with this full 1″ inch / 2.62 cm taller though, wouldn’t you be happy too!? And you do know that Super-Growth solution formula is everywhere around. Yet, I’m not going to be selfish here and not share with you this hidden”secret” formula that helped me and many others out there as you see here to get a new growth spurt by 6x fast results and grow taller too. 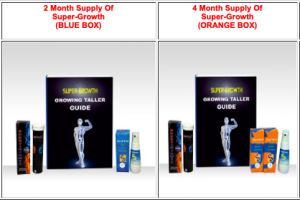 Go ahead and to help you out even better, I will show you the same authorized official website (www.SuperGrowthEnhancer.com) that I ordered from all for you to guarantee height growth results too by getting the real, legit and original formula if you decide on it. Plus it’s the newest improved version with the ‘original’ HOLOGRAM sticker for proof it’s really legit from its own company. Yes, they ship international worldwide to anywhere we’re at in the world. Look at this before and after real user photos by a guy named Rob from Fond Du Lac, WI who used Super-Growth height enhancer for 6 months got a new growth spurt and grew to almost 3′ inches taller. ! Impressive, right!? For 1″ inch / 2.54 cm= 2 Month Supply Super-Growth (Blue Box). For 2″ inches / 5.08 cm = 4 Month Supply (Orange Box). Just wondering why once I click the http://www.supergrowthenhancer.com where you purchase the product, it doesn’t open anymore. Did they close that website for some reason. Although the http://www.super-growth.com website is working. I just checked http://www.SuperGrowthEnhancer.com and it seems to be working 100% correct. Yet, you can contact them and let them know whats going on. Remember, http://www.SuperGrowthEnhancer.com is the same authorized official websites as http://www.Super-Growth.com. The difference is that http://www.SuperGrowthEnhancer.com‘s supplier is located in the USA, and http://www.Super-Growth.com‘s supplier is out of the USA. Hi there Julio! I’m just wondering if it’s possible for me to get to 5’9-5’10? I am a female who is 5’3; my mother is 5’3 (and vaguely shorter) and my father is 5’9…not particularly tall. I drink a lot of milk [it’s a favourite of mine] and exercise somewhat reguarly [mostly mile runs, to be fair]; and it’s a bit underwhelming knowing that I haven’t really grown for the past year. I just turned 17. I suppose It’s better for me to be realistic and shoot for 5’5-5’7 but those median numbers feel meh to me…perhaps I could deal with that and wear platform shoes or something? Haha! Thank you for your time. That’s right, 3-4 full inches is releastic and achievable if you do your part as well, which you mentioned you’re drinking lots of milks (calcium, protein, vitamins,etc), jogging is accepatble and are you sleeping 8 hours of deep sleep every night, catching a few sunlight in the daily basis, healthy meals, and what about listening to height growth bineraul beats on YouTube helps a lot, also positive height affirmations that you are growing taller does help, etc. Do that and after 6 months, make sure to let me know how tall you’ve grown. By the 6th month, you can expect those 2″ full inches and a total of 12 months/1 year, I can say that you should have reached that height growth you want there, when doing your part. Hello! I ordered the 6 months package and This is my there week. When you finish to rub it? Because I rub it until is Nearly dry, but not absolutely dry because its impossible. Always its a bit wet. Please answer, thank you very much! Yes, I say rub it until nearly dry. I think the reason it does not dry completely is because it allows the product to continue absorbing the active ingredients to the pulse points through all the time. Which is probably why its effective to grow the skeleton and overall bones which leads to new height growth spurt. Let me know your results after the full 6 months! Hey Julio. I’m looking to buy the product. I’m 16 and 5’10.5 with my mom being 6’0 and my dad being 6’1. My goal is to reach 6’1-6’3 for mma. Can you GAURANTEE that this product will work? I’m a guy btw and I wear size 15us men’s and my hands are HUGE with my arms so long that I can scratch my kneecap standing straight up😂. Well, so you’re 16 years old at 5’10 tall so basically, you DO NOT need Super-Growth height enhancer spray. Why? Well, you’re going to grow those additional 3″ inches you want there before you reach 20 years old. 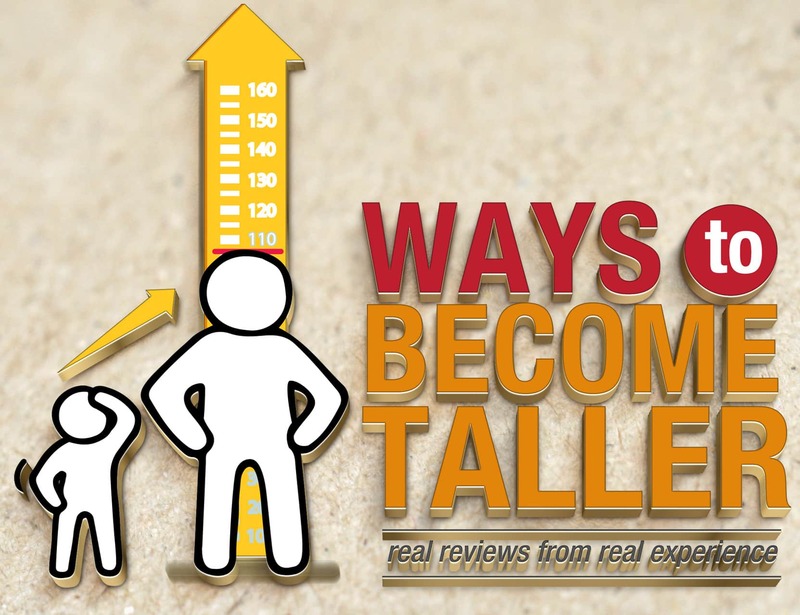 I guarantee you will grow taller WITHOUT the use of Super-Growth because of your age,current height and because of your genetics since both parents are tall. I say, continue doing what you are doing and have some stretching exercises in the daily basis, get your 8 hours of sleep every night, go healthy meals all the way, listen to HGH binaural beats on YouTube, and so, then come back to me when you reach those 3 inches you want there WITHOUT any effective supplements. I’m 21years & 5.5ft I need 4 more inch how possible can these be? Plus it is important that you also do your part as well, such as healthy protein meals in the daily basis, stretching and elongating exercises, drink 2 large cups of milk daily, drink 2 lts of water daily, get 8 hours of sleep every night, catch a few sunlight in your daily basis, listening to Height Increase Binaural Beats on YouTube helps alot or height growth affirmations, correct your posture to stand and sit up straight, last of course have a positive mindset that you’re growing taller in the daily basis. Do that and then make sure to come back to me and let me know your results! Julio if I use this alone am I going to grow taller? Man imm so lazy I hate to exercise I eat junk food but I sleep 9 hours. I am afraid if i take this will i still grow???? But ill prob be buying the 1 year supergrkwth. Well, I personally believe you have to do your part in order to grow taller. In fact, I was just mentioning this to someone else via email that Super-Growth is deffinetly not sometype of “miracle” or “magical” formula, but most likely a huge boost to maximize height. Basically, if you do your part such as you even mentioned 8 hours of sleep, start eating healthy meals, yes stretching exercises and elongating, drink 2 cups of milk, 2 lts of water daily, catching some sun light for vitamin D and calcium, etc, yes Super-Growth will help you maximize the process to make you taller within that full 1 year supply. I have noticed that the people who does their part are the ones who seems to get better results, or maybe the ones that doesn’t share their experiences with the formula could be selfish and not want to share their growth of results to help others. That’s what I think! Hey Julio deus listen I ordered the 6 month sp and now I only got 1 bottle left. So far I measured myself and it looks like I made myself 1 inch taller. Should i order another 6 month sp kit because I need at least 3 more inches? I am glad it’s actually working slowly but its no miracle. I think it takes time. A total of 12 month supply hopefully I achieve another 3 inches in the next 7 months. I’ll keep you update. Wish me luck thanks. Yes, I would order another 6 month of Super-Growth height enhancer supply and keep doing what you’re doing, I’m sure you can expect to grow those additional 3″ full inches you want there since you mentioned that you already got 1″ full inch. It’s possible, and yes keep me update as this will help a lot of people out there.